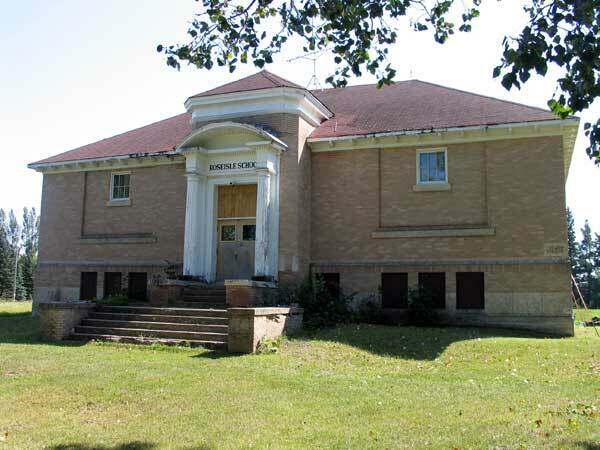 The Roseisle School District was established in November 1892 but a school was not built until two years later, on the northwest quarter of 21-6-7 west of the Principal Meridian, in the Rural Municipality of Dufferin, about a mile west of the present village of Roseisle. The school was named for the post office in the area. In 1901, the railway arrived and Roseisle began to be developed on its present site. 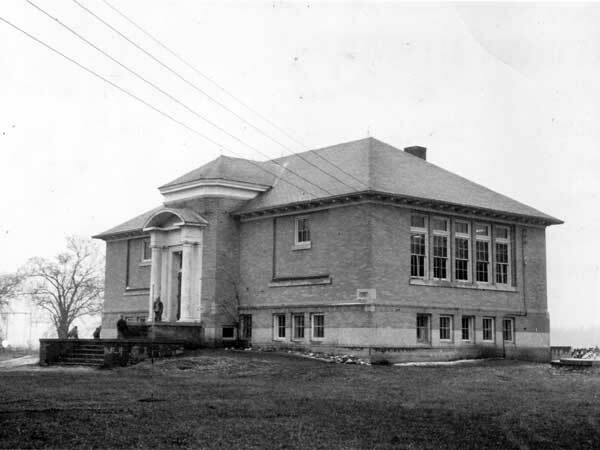 In July 1911, the school joined with Hyde Park School No. 916 and Leary School No. 1540 to form Roseisle Consolidated School. 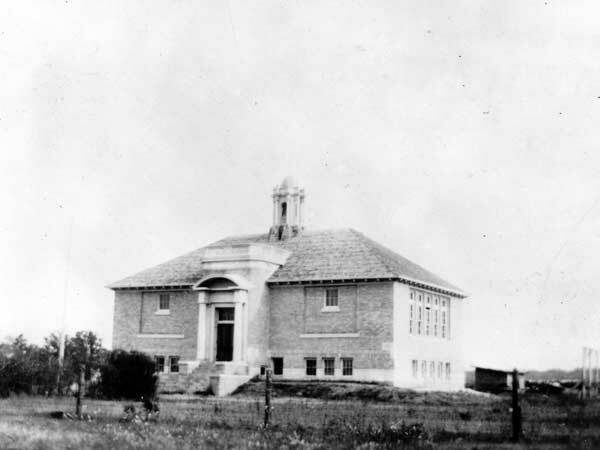 A new school building designed by Winnipeg architect E. D. Tuttle was erected in 1914, at a cost of about $6,000. It burned down in 1920 and, the next year, a new Tuttle-designed building replaced it at the same site, built at a cost of $22,000. Roseisle School became part of Midland School Division in 1968. Due to declining student enrolment, it closed in June 1992. As of 2010, the building (a municipally designated historic site) and site are privately owned and a “No Trespassing” sign is posted. A plaque nearby, unveiled in July 2003, commemorates the pioneers, community leaders, school trustees, teachers and students of Roseisle School. Among the teachers who worked at Roseisle School between 1913 and 1992 were the following: Martha Elbe (1913-1914), Clara Cook (1913-1914), Sylvia Evelyn (1914-1915), Marion Crawford (1915-1916), Eva Davis (1916-1917), L. A. Lecunnier (1917-1918), Pearl Snider (1917-1918), Percy Snyder (1917-1918), L. Jean Kennedy (1918-1919), John T. Quinlan (1919-1920), Eva L. Simpson (1919-1922), O. Falconer (1920-1921), Violet Adams (1921-1922), Margaret Bradley (1922-1923), Clara Poyser (1922-1924), Annie A. Stewart (1922-1923), Jennie Keith (1923-1924), Bessie M. Harris (1923-1924), Jessie Logan (1924-1925), William Logan (1924-1925), Ruby Sanderson (1924-1925), Elizabeth Wheatley (1925-1928), Georgina Swanton (1925-1928), M. A. Johnson (1925-1926), Ruby Douglas (1928-1929), Donalda Gofton (1928-1929), Ruth E. White (1929-1932), Emily Sumi (1929-1932), Matilda Burnett (1932-1934), Margaret Goodman (1932-1934), Barbara Miller (1934-1936), Charles N. Johnson (1934-1936), Helen Morrison (1936-1938), Margaret Gresham (1936-1937), Thelma Muir (1937-1940), Emily Sandberg (1938-1941), Eva McTavish (1940-1941), Isabel Campbell (1941-1946), Grace Brown (1941-1942), Isabel Menzies (1942-1943), Jean Simpson (1943-1944), Edith Bethel (1944-1945), Annie Lawson (1944-1945), Ruby Gibson (1945-1946), Sadie Anderson (1945-1946), Kathleen Chase (1945-1946), Shirley Freedy (1946-1947), Grace Freedy (1946-1947), Jean Irvine (1947-1949), Margaret Ross (1947-1948), Margaret Taylor (1948-1949), A. Maguire (1948-1949), Daisy Smith (1948-1949), Elsie Clearwater (1949-1951), Ruth Heimann (1949-1950), Mary Byskal (1949-1950), Doris Mathers (1950-1951), Lena Neufeld (1950-1951), Barbara Beeso (1951-1952), G. Gaboury (1951-1952), Lena Dankesriter (1951-1953), Bernice Rzasa (1951-1953), Meroslaw Lakusta (1951-1952), Jean Guiboche (1952-1954), Viola Smith (1953-1956), Audrey Currie (1953-1955), Rose Rehaluk (1954-1956), Melina Foster (1956-1957), Donald Leary (1956-1957, 1977-1984), Flora Johnson (1956-1957), Harry Martin (1957-1958), Dorothy Martin (1957-1958), Myrtle Jopp (1957-1971), Connie Worms (1958-1960), Laura Anne Loyns (1958-1962), Emily Hoeppner (1960-1965), Laverna Mitchell (1962-1963), Eva Giesbrecht (1963-1964), Mrs. Bertha Winnifred Norberg (1964-1977), Doreen Ferris (1965-1967), Judith Wadge (1967-1969), Alvina Harms (1969-1971), Lillian Hirst (1971-1984), Eunice Knox (1983-1984), Mary A. Johnston (1984-1985), Maureen Abbott (1984-1986), Noreen Gray (1985-1986), Audrey Forster (1986-1987, 1989-1990), Virginia Peters (1986-1987), Ken Switzer (1987-1990), Joan McKetiak (1987-1989), Shelly Conger (1990-1992), and Bill North (1991-1992). 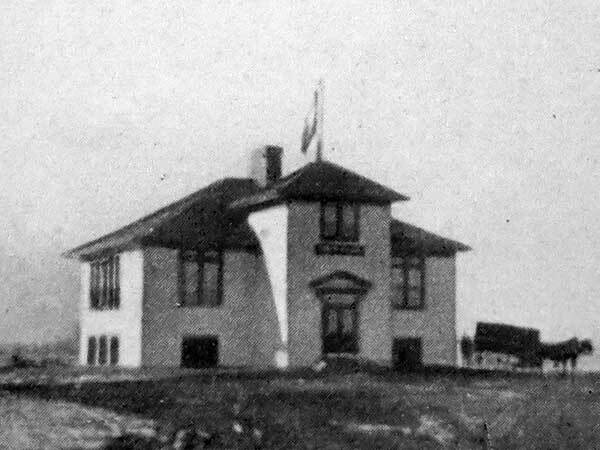 The original Roseisle Consolidated School, built in 1914 but destroyed by fire in 1920. 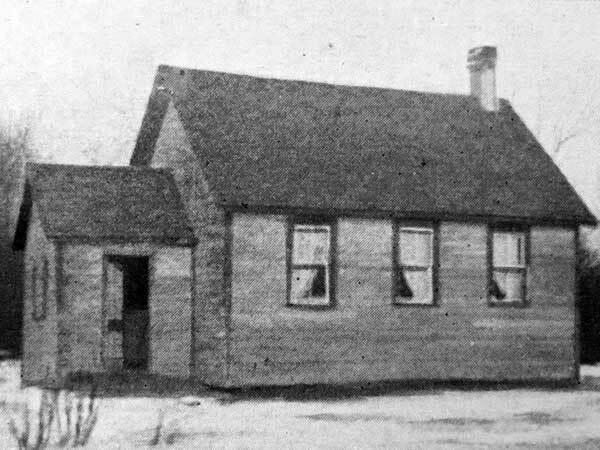 Source: Archives of Manitoba, School Districts - Roseisle #726. Source: Archives of Manitoba, Architectural Survey - Roseisle 4. “Tenders for building,” Manitoba Free Press, 23 August 1913, page 2. “Cox – Frost,” Brandon Sun, 17 July 1948, page 6. Roseisle School, Manitoba Municipal Heritage Site No. 32, Manitoba Historic Resources Branch. Obituary [Bertha Winnifred Norberg], Winnipeg Free Press, 19 August 2017. We thank Ina Bramadat, Randy Rostecki, and Nathan Kramer for providing additional information used here.